It is autumn now so the Monarch butterflies are passing through, maybe they’ll go all the way to Mexico. 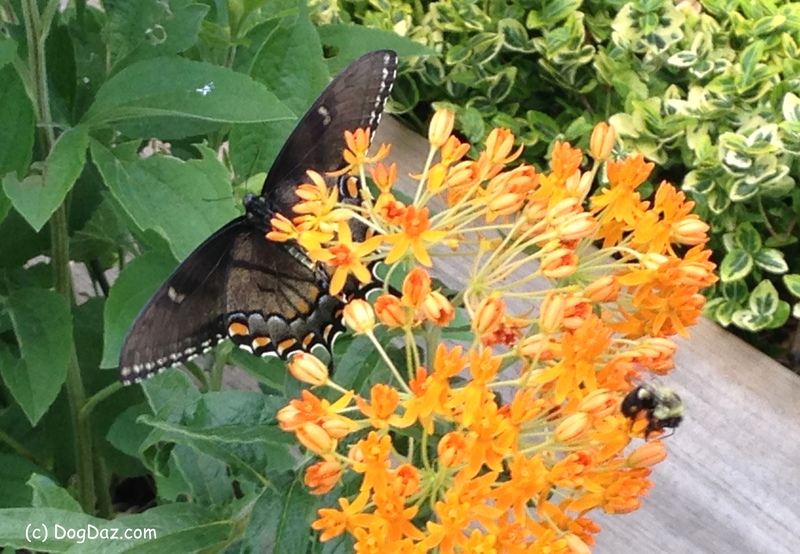 The Swallowtails will stay right here and another cycle of fluttering will start again in the spring. If you want to know where my eastern butterflies go in the winter -> click here. We love the ‘flutterbys’ and plant so that they will come and stay. The pool is surrounded by butterfly bushes (buddleia) and we have sedum and butterfly weed (Asclepias tuberosa), a form of milkweed. Monarch caterpillars ONLY eat milkweed. In fact, the monarch butterfly is also known as the “milkweed butterfly.” The milkweed plant provides all the nourishment the monarch needs to transform the Monarch caterpillar into the adult butterfly. Hello, Autumn. See you next year, Flutterbys! 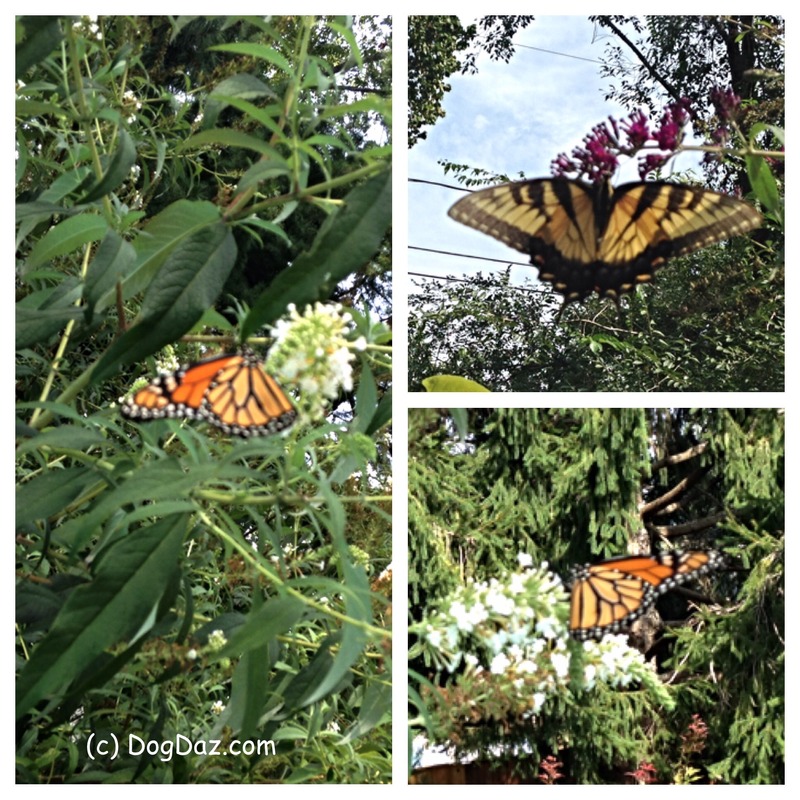 Your yard is like a butterfly hotel! Such a great way to put it. Thanks. We do too because all we get in the winter are the mice and snakes. We do love it too. I wonder if there is a place in the world that is always fall? But how do you have fall without summer. I saw you in an ad in Bark magazine. We swear it was you!